Grey Goose know how to make an entrance. 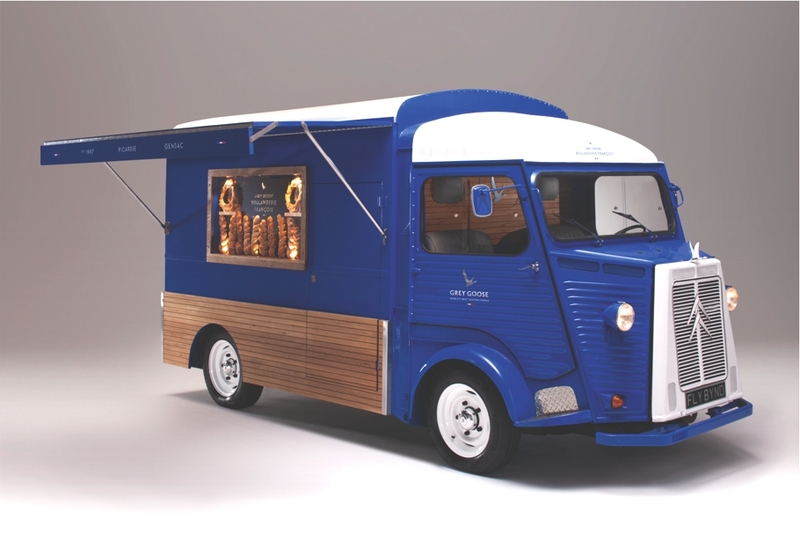 And for the next five days the label is bringing its fizz and glamour to Manchester via their Boulangerie François, a pop-up artisan French bakery camionnette delivery van. Hidden inside the camionnette, located next to Harvey Nichols on New Cathedral Street, the Vodka brand has created the world’s most intimate martini cocktail bar, a luxury pop up that will serve bespoke Grey Goose martinis designed to your individual taste buds. In recognition of the labels creator François Thibault’s decision to create ‘a luxury vodka with taste’ in the traditionally brown spirit Cognac region of France using the finest French ingredients, the Grey Goose Boulangerie François features an art installation display of Grey Goose artisan breads. The bread will be created using exactly the same ingredients that Grey goose is crafted from, soft winter Picardie wheat and using spring water naturally filtered through limestone from the Cognac region. 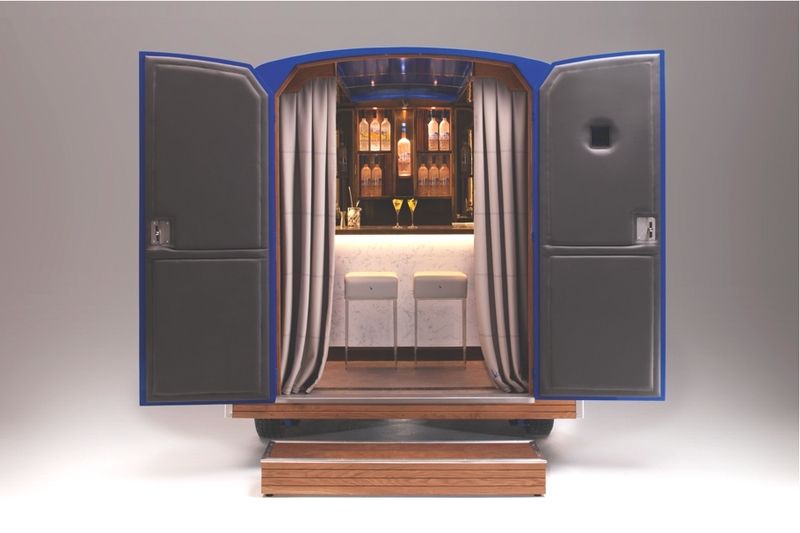 Designed by restaurant interior expert du jour, Shayne Brady of BradyWilliams, the world’s most intimate martini cocktail bar features a striking bar hosted by the labels UK brand ambassador, Omar Sequera, and bar stools for two guests. 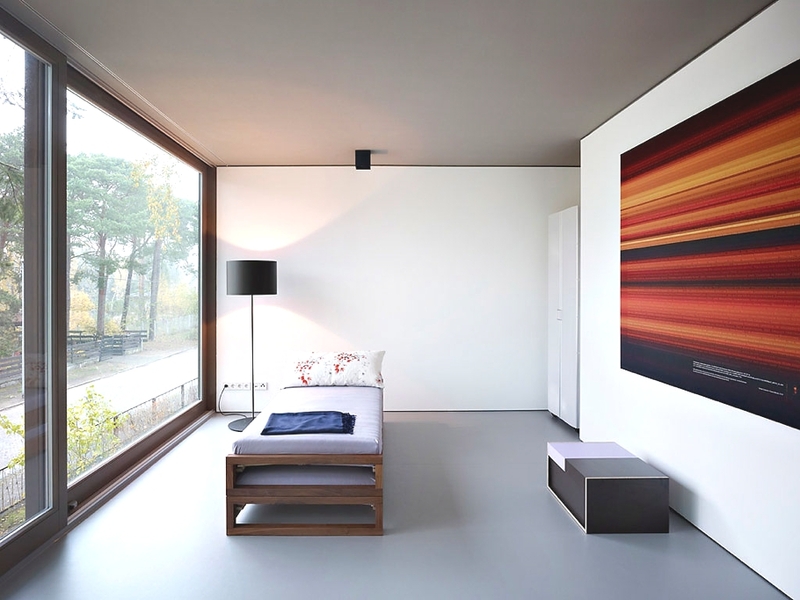 Scheidt Kasprusch Architekten a Berlin-based studio has designed the Minimum House. Completed in 2008, this two-storey contemporary home is located in Mellensee, Brandenburg, Germany. Los Angeles-based design studio Space International has designed the Redesdale Residence. Completed in 2008, this two-storey contemporary property can be found in Silver Lake, a neighbourhood in Los Angeles, California, USA.